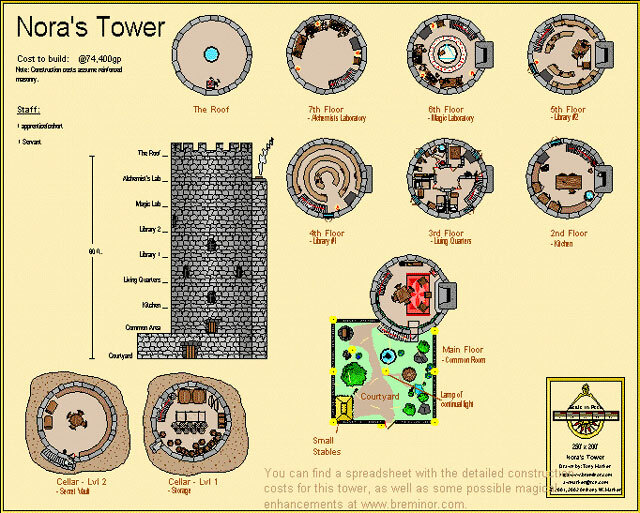 Nora's Tower was designed as a stronghold and research lab for a wizard. It contains an extensive library, treasure vault, kitchen, common room, laboratory, and other amenities. Page last updated on 11 July 2002.